Turkey dinner, gather 'round. Who will get the drumstick? 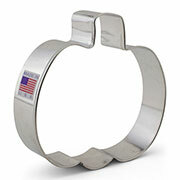 Sweeten any Thanksgiving celebration with our 3 5/8" Turkey Cookie Cutter. 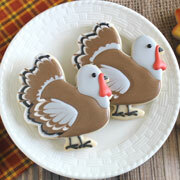 Have some Turkey cookies in addition to the usual pies and tarts. 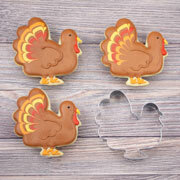 Let the kids decorate cookies and use them as place settings, or use the cutter as a stencil. Gobble gobble! 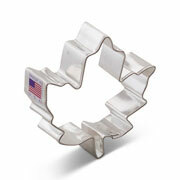 I fell in love with Ann Clark cookie cutters this holiday season. From now on, I will only purchase my cutters from them and decided to get a head start on other holiday cutters. 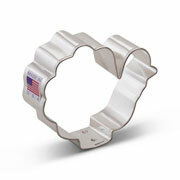 Love this turkey cutter - you'll definitely know it's a turkey once baked, not like some other cutters out there. Don't want to rush the new year but I definitely will be having fun using my new cutters. 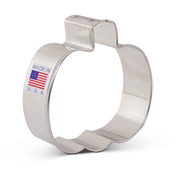 I love that your products are made in the USA. I purchased some for my family and for little gifts this year. Thanks they are great!